Each year millions of people make New Years Resolutions. Some resolutions are intended to bring about greater happiness in our lives, some are to make a difference in the world, some are to lose weight or improve our physical and spiritual bodies. All New Years Resolutions are made with good intentions. Unfortunately many resolutions are forgotten or broken, or a made with such great aspirations that they are either unattainable or add undue stress to our lives. This year consider making an attainable resolution. Here are a few tips for creating and achieving New Years Resolutions. Start Small. Whether you want to lose weight or spend more time with your kids or explore more, start small. Instead of saying I’m going to lose X amount of pounds, say today I’m going eat less. Or today I’m going to set aside an extra half-hour to spend with my kids. Start with today and follow through with your goals. Long term goals can be put off but starting small can help you achieve success and encourage you to continue on your path. Make at least one New Years Resolution fun. Most resolutions are about trying to change habits that we perceive as bad or unhealthy but resolutions can be about bringing more fun or more relaxation into our lives. Consider taking a nap. 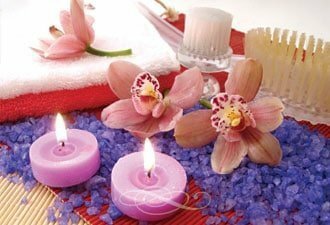 Consider booking a massage or spa treatment just to help take care of yourself. Book an adventure in January for some time in July so you have something to look forward to. Make your life worth living! Do Something Kind For Someone Else. Giving is getting. The more we give the better we feel about ourselves. Doing something kind for someone else can be as simple as offering up a smile as you pass a stranger on the street, offering to help someone carry a heavy bag, or asking someone if they are okay. Doing something kind can be as big as volunteering your time for a non-profit, mentoring a child, donating money to a charitable cause, adopting a child or a pet in need. Make healthy touch a part of your life. Hugs, handholding and massage all help stimulate the immune system, decrease stress and help us bond to others. Touch has so many emotional and physical benefits for our bodies and our minds. If you are in a relationship remember how far a gentle touch or a hug can go. If you aren’t in a relationship, a Swedish massage or deep tissue massage can stimulate the warmth and security that positive touch promotes. No matter what your resolutions are this year, make sure they are ones that will bring you happiness. Setting a goal that you are dreading sets you up for failure. Make your goals fun, make them possible and make them happen! Happy New Years from Life Essentials Day Spa.